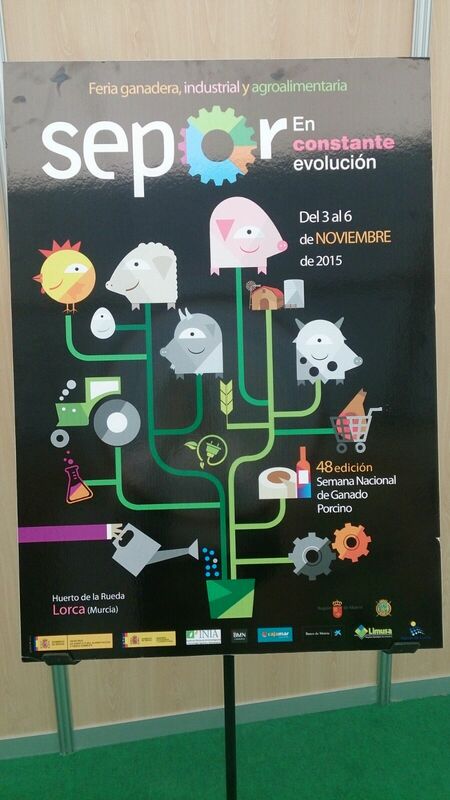 The 48th edition of the fair Ganadera, Industrial y Agroalimentaria Sepor was held on the 3rd till the 6th of November. This fair took place in Huerto de la Rueda, Lorca (Murcia). SEPOR is a fair that has tradition and also has the backing and support of professionals, commercial firms, experts and above all, popular support. The fair allows one another to promote contact between different stakeholders of livestock in all its spheres: producers, laboratories, teachers, unions, etc. Our colleagues at COPISO attended the event by participating actively and by asking questions during different technical session and oral presentations. In addition to that, they took the opportunity to initiate contact with European projects, that have similar goals to our LIFE14 Smart Fertirrigation. 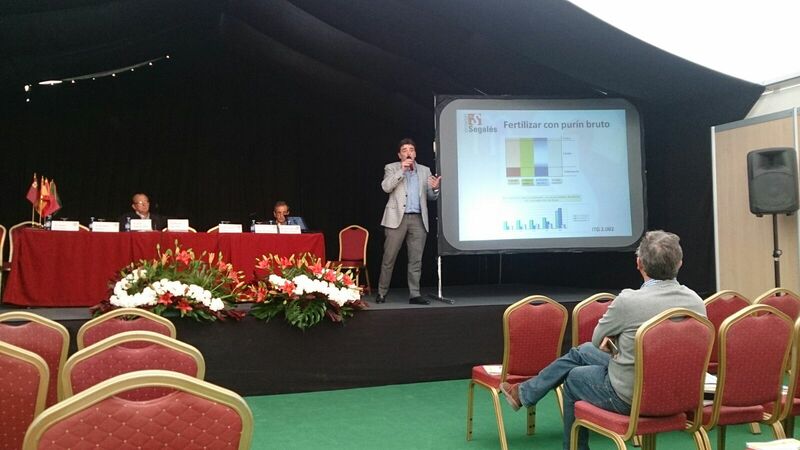 Technologies for the enhancement of digested of biogas plants and livestock-excrement. Technical Conference of the project DIGESTMAR. ECO/12/332882. Rapporteur: Miss Paz Gómez. Technical project manager in the line of Biogas and Bioenergy, AINIA Centro Tecnológico. Joint treatment sludge of EDAR and livestock-excrement with an innovative system of anaerobic digestion combined with processes of ozonation and hydrodynamic cavitation for obtaining organic amendments of high quality. LIFE14/ENV/ES/150-STO3RE (Synergic TPAD and O3 process in WWTPs for Resource Efficient waste management). Rapporteur: D. Roberto Giralda. 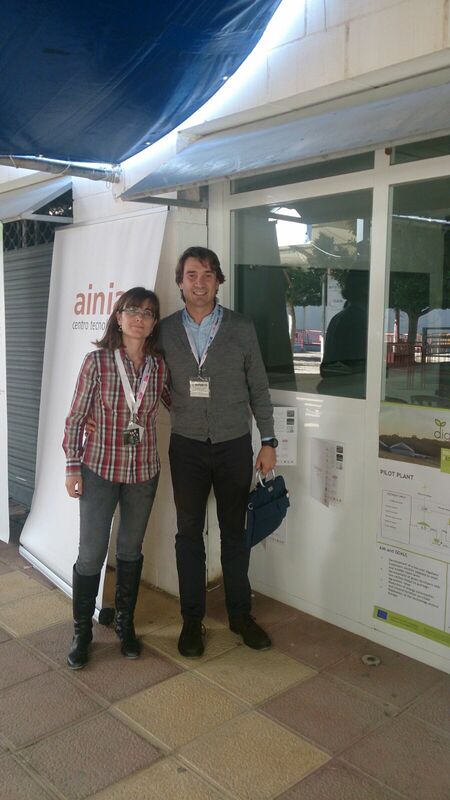 Technical project manager in the line of Biogas and Bioenergy, AINIA Centro Tecnológico. Biogas plants for small-scale energy consumption in the agribusiness sector. Results of the project BIOGAS3, IEE-13-477. 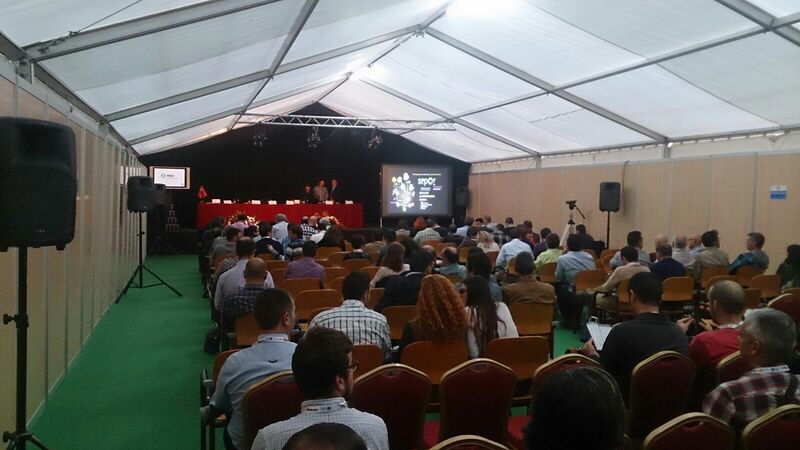 In the course of the development of the project we invite you to participate in technical conferences and to the facilities of PURAL in Soria. Below you will find several images that were taken during that day.